"If Sri Lanka, Rwanda and Malawi can provide publicly financed health care to their people why cannot their wealthier neighbours?" 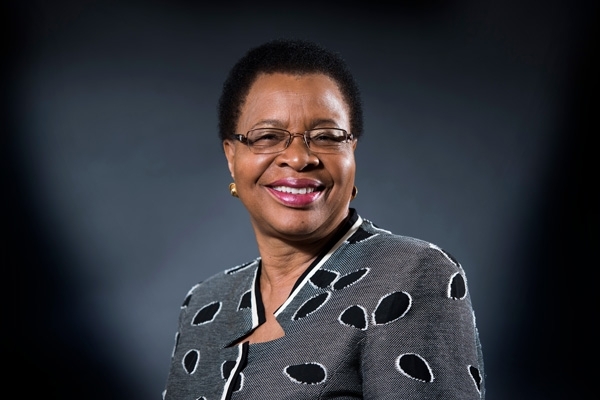 This keynote speech was delivered at the Commonwealth Health Ministers Meeting, held on the sidelines of the 71st World Health Assembly in Geneva on 20 May. Good Morning, Madam Secretary General, Baroness Scotland, Honourable Ministers of Health, Ladies and Gentleman. I am thrilled and honoured to have this opportunity to talk today about a topic which is dear to my heart and to so many of you in this room – Universal Health Coverage. Last May, the world’s health ministers elected my brother, Dr Tedros, to become the first African Director General of WHO and I am delighted that he is fulfilling his election promise to make UHC his top priority for WHO and for global health. As we saw at last December’s UHC Forum in Japan and we will also see this week at the World Health Assembly, UHC is driving the global health agenda. Looking ahead the pre-eminence of UHC is set to continue, with the UN recently designating December 12th an official UN “UHC Day”. The UN will also organise a special UHC summit at next year’s General Assembly, which will keep up pressure on heads of government, to fulfil their commitments to UHC. We at The Elders agree with WHO, the World Bank, many governments and a growing civil society movement that UHC represents the best strategy to reach the Health SDG which is: “Ensure healthy lives and promote well-being for all at all ages.” UHC means that everybody receives the health services they need without suffering financial hardship. So, in shielding people from prohibitive health costs that can plunge them into poverty, achieving UHC is vital for achieving other SDGs, such as increasing economic growth and reducing poverty and inequality - including gender inequality. Access to healthcare is a human right we as a global family need to ensure is protected and enjoyed by all. 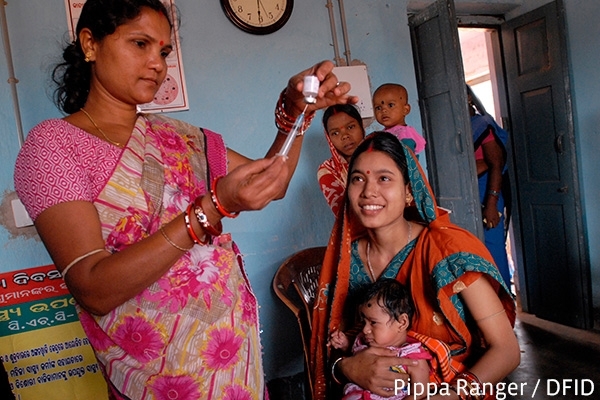 The World Bank has recognised the importance of UHC in building human capital, which it is now heralding as one of the principle drivers of economic growth. Good nutrition has also been recognised by the World Bank as a key investment in human capital development and central to achieving many of the SDGs. Just last month, at the World Bank and IMF Spring meetings, the Bank’s President, Jim Kim, launched their human capital initiative in order to hold governments to account for increasing their spending on health and education. This is an extraordinary turnaround from thirty years ago, when you will recall, the World Bank and IMF were telling your governments to cut public health spending and to introduce user fees. So those of us fighting for increased public health spending were right all along! We therefore have a wonderful opportunity now to work with WHO and the World Bank to promote the broad development benefits of UHC to Finance Ministers, Presidents and Prime Ministers. Collectively, we must raise our game in doing this, in order to secure the vital public financing and political commitment you will need to implement your UHC strategies. As we invest in UHC, it is equally important that we invest in nutrition, which plays a vital role in creating the building blocks for the human brain, which is a great infrastructure for development. Investing in nutrition does not only guarantee a healthier population but also boosts the economies of our countries because healthy citizens are more productive citizens. Therefore, clear targeted investment into the recommended high impact interventions for nutrition and clear budget lines to support nutrition initiatives in various government sectors is an important complement to the UHC agenda. The Elders are already engaged in supporting UHC reforms. 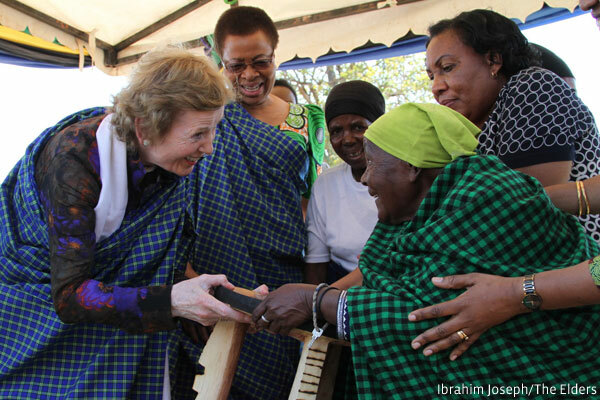 For example, it was a pleasure for my fellow Elder, Mary Robinson, and I, to be welcomed in Tanzania last July by the Honourable Minister of Health Dr Ummy Mwalimu to see how the country is progressing towards UHC. It was inspiring to engage policy decisionmakers and dynamic civil society activists who are determined to keep up the political pressure to reach UHC, including courageous voices asserting the health-related rights of women, adolescents and girls, LGBT communities and nomadic groups. We, The Elders, are very keen to work with you and to support you. The Commonwealth represents a huge range of experiences and lessons in moving towards UHC. Of course, no country in the world has achieved perfection in UHC yet, where everybody has immediate access to every top-quality health service they need without any financial hardship. However, there are countries in the Commonwealth that are nearer that goal than most and this does not just include the richer Commonwealth members. At all income levels there are shining examples of Commonwealth countries outperforming their peers in increasing coverage of essential health services and protecting their people from the costs of these services. I am afraid I do not have time to herald all your successes this morning, but I would like to highlight a few. In South Asia, Sri Lanka has famously provided universal free, publicly financed health care to its entire population since 1951 and as a result has achieved stunning successes in improving health outcomes. Its maternal mortality rate, for example, is lower than some states in the United States – which we all know has yet to achieve UHC despite it being 15 times richer than Sri Lanka. In my own continent of Africa, the Commonwealth’s newest member, Rwanda, has given a very high priority to extending health coverage by allocating 20% of its state budget to health and has massively subsidised its national health insurance system. As a result its child mortality rate has reduced by 80% since 2000. With President Kagame now chairing the African Union, I sincerely hope that he will share Rwanda’s UHC lessons with other countries in the AU and encourage their leaders to show similar levels of political commitment to improving healthcare. Another example I would like to applaud, is the success of Malawi. I saw first-hand on a visit there earlier this year, where despite its economic challenges, has managed to provide free public health care to its people since independence and resisted pressure to charge health care user fees. Due to these enlightened policies, health care utilisation by the poor has been relatively high in Malawi and it was one of the few low-income countries to achieve the child mortality MDG. I sincerely hope therefore that, following this success, the Government of Malawi will not heed fresh calls now to introduce user fees, just when so many other Commonwealth countries are abolishing them. However, I would feel that I am not doing my job properly as a health advocate if I only came here to celebrate UHC successes without also highlighting that some areas of the Commonwealth which are unfortunately far away from achieving the UHC goal. In particular when one looks at the ten biggest countries in the world by population, you can see that six of these fail to provide effective health coverage to large proportions of their people. Four of these are Commonwealth Countries: India, Bangladesh, Pakistan and Nigeria. In every case, these countries allocate less than 1.5% of their Gross National Incomes to public health spending and regrettably the three lowest spenders in world are all Commonwealth Members. One of India’s finest sons, Mahatma Ghandi, reminds us that “The true measure of any society can be found in how it treats its most vulnerable members.” I therefore challenge you to invest more in your healthcare and in the lives of your precious citizens. Healthcare is a fundamental right and an essential foundation for all other rights to flourish. It is an essential component to the vibrancy of communities and developmental progress of entire nations. All countries have signed up to meet the SDGs, and therefore, must fulfil the mandate of SDG 3, “Ensuring healthy lives and promote wellbeing for all at all ages.” UHC, therefore, is an imperative ingredient in achieving the SDGs. This said, I feel we should be more honest and critical in assessing how countries are progressing towards UHC. We may have reached a global consensus concerning the goal of UHC but there is not such an agreement on how to get there. According to the definition of UHC, we should ensure that everyone is covered, with health care benefits allocated to health needs and the health system financed according to people’s ability to pay. This means that healthy and wealthy people must subsidise vital services for the sick and the under-resourced. Therefore, in designing UHC strategies, governments should give greatest priority to meeting the needs of the poor and vulnerable. They should also prioritise services for high-need groups including women, girls, adolescents, the elderly, disabled people, the terminally ill and those with chronic health conditions, including non-communicable diseases. It is now well known that health care user fees are the least efficient and most inequitable way to finance a health system. The provision of essential health services is an obligation of the state, and governments have a responsibility to provide the fundamentals for their populations. Citizens should not have to pay from their own pockets to enjoy the basics around their wellbeing and dignity. High levels of out-of-pocket health spending, which are as high as 72% of total health expenditure in some Commonwealth countries, make it impossible to achieve SDG 3 and represent a threat to global health security. The fact that some large countries are underfunding their health systems is not only inhibiting their own progress to UHC and shirking their responsibilities, it also threatens to undermine health improvements across the Commonwealth and the world. Another dire consequence of out-of-pocket health financing is that it plunges tens of millions of Commonwealth citizens into poverty every year – 64 million in one country alone. It also results in tens of thousands of poor people being detained in health facilities because they cannot pay their hospital bills. Most of the victims of these illegal imprisonments are women and babies who needed emergency caesarean sections to save their lives. Needless to say, these detentions represent a gross violation of the human rights of the victims. As one very practical step towards UHC in the Commonwealth, all your governments should immediately ban the detention of citizens in the health facilities you govern – including in the private sector. In the 21st century there is no justification whatsoever for hospitals operating as debtor prisons! Unaffordable user fees also force people into the unregulated private sector and in particular into buying medicines over the counter in drug shops. Often this results in people receiving inadequate doses of medicines or inappropriate or fake medicines. This can have disastrous consequences for the health of individuals and also for the long term health of populations through increased Anti-Microbial Resistance. Recent research in the Lancet shows there is a clear link between high out-of-pocket expenditure on health and levels of anti-microbial resistance in countries. This represents a major threat to Commonwealth countries with high and rising levels of drug resistant TB and makes all our health systems vulnerable to outbreaks of drug-resistant pathogens. I appreciate that as Ministers of Health, you often inherited these problems and are trying with the best of intentions to work with all players in the health ecosystem to radically shift the way healthcare is delivered. But we need to be putting more collective political pressure on countries lagging behind. If Sri Lanka, Rwanda and Malawi can provide publicly financed health care to their people why cannot their wealthier neighbours? Governments must have the courage to approach healthcare differently. You must be the drivers in bringing the public and private sector together to align around the provision of universal health coverage. This requires a significant shift in mindset and the fortitude to abandon old frameworks of service delivery, encourage innovative approaches, and confront those who insist on archaic ways of financing and delivering healthcare. Furthermore, in maximising efficiency and equity in our public health spending, we should focus on scaling up the provision of primary care services over costly specialist services in tertiary hospitals, which tend to be captured by the better off. We know throughout history that health systems built on foundations of equitable primary healthcare outperform those dominated by hospital services. This is true at all income levels. I therefore commend WHO for re-invigorating the primary care movement through hosting a second Primary Health Care Summit in Kazakhstan later this year and I trust that many of you will be there to champion Primary Health Care-led UHC reforms. So, we know how we ought to be moving towards UHC, but sadly this rarely happens because UHC processes are inherently political and influenced by powerful interest groups who try and skew health reforms towards meeting their needs first. These groups include wealthier members of society, civil servants, formal sector workers, urban populations and political leaders representing their interests. They also include commercial stakeholders who benefit financially from less-efficient free market health systems and include private hospitals, insurance companies, pharmaceutical and medical equipment supplies and even some members of the medical profession. Governments must confront these interest groups and dismantle the stranglehold they have over fair and equitable access to health care services—it is not acceptable for the wellbeing of our society to be held ransom by them. Unfortunately, one trend we are noticing across the world is for these interest groups to work together to promote UHC strategies based on creating insurance schemes that only cover the formal sector. The argument seems to be that because it is relatively easy to take insurance contributions from people’s salaries we should establish health insurance schemes for formal sector workers first. The problem with this approach is that it is fundamentally inequitable and in many developing countries leaves the majority of the population behind. Also, with women and certainly children under represented in the formal sector, this strategy exacerbates gender inequalities in accessing health care. I realise some governments try and make up for these failings by paying the contributions of the “poorest of the poor,” but these initiatives are often tokenistic and result in millions of poor and near-poor households lacking coverage. Women and our youth are the life-blood of any society and we need to ensure they are given access to health services without discrimination. Linking access to health services to employment status like this is an outdated concept. It was designed in the last century to build healthy male work forces in Europe to fight wars and work in factories. But since the Universal Declaration of Human Rights and now with the SDGs, the worlds’ nations have accepted that the right to health and health care is universal, so leaving non-waged populations behind is unacceptable. As I highlighted earlier, it is perfectly feasible as a developing country to provide a package of publicly financed health services to your entire population, especially if your benefit package focusses on primary care. Sri Lanka has been doing this for decades and has been joined by countries like Malaysia, Fiji, the Maldives and Rwanda in recent years. Clearly it is not economic constraint that determines which route a country takes; it is a political choice. 2) increased public financing for health. Clearly you need the former to secure the latter, and that is why, we, like Dr Tedros, are focussing on supporting political commitment for UHC. Some of the Elders have been heads of state and have led UHC reforms themselves and appreciated the vital importance of UHC for the welfare or their people. This was also the experience of the founder of The Elders, my beloved Nelson Mandela, whose first major social policy when coming to power in 1994 was to provide universal free health care for all pregnant women and young children in South Africa. It is my sincere hope that South Africa’s new President will now complete Madiba’s work and bring universal health care to the entire South African population. It is also my sincere hope that The Elders can work with you as progressive health leaders to ensure that your governments choose an equitable route to UHC. We appreciate that this will not always be easy, so we strongly recommend that you involve other stakeholders too, including civil society organisations who can amplify the voices of the poor and needy who risk getting left behind. This is why whenever we visit a country on a UHC mission we are always very keen to support civil society organisations and encourage health ministers to regard CSOs as useful allies in the battle for UHC. And as we have seen across the Commonwealth, taking on powerful interest groups to establish an equitable health financing policy is a political battle and one we have to win to protect the poor and vulnerable. Many of us Elders are veterans from these battles and have learnt some useful lessons over the years in how to influence and manage key stakeholders in launching pro-poor social policies. I would therefore like to conclude by offering you our support and solidarity as you embark on these battles in your countries and to assure you that there is no better gift you can give your people and your future generations than that of Universal Health Coverage.